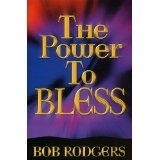 You will quickly understand the principles of the power to bless! God has called you to bless; and not curse. He desires that you be a blessing; and to be BLESSED! You can speak, impart and release blessings to others and your family. This book will help you to realize not only the mighty power of the tongue, but you can harness the power in binding and loosing. Be on guard to combat "blessing blockers" that satan will use to rob you of your blessing. When the principles within this book get ahold of your life, it will change your destiny!